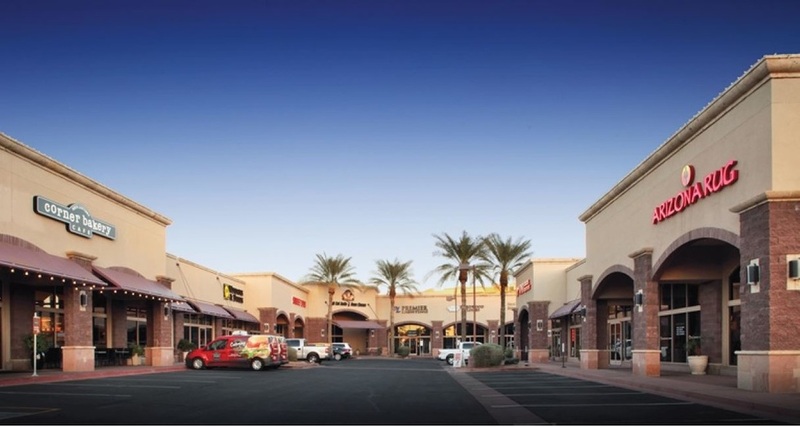 Jerry Simms, Scottsdale – Levine Investments Limited Partnership in Phoenix (Bill Levine, Andrew Cohn, principals) and Valley businessman Jerry Simms paid $15.55 million ($303.74 per foot) to buy a 51,195-square-foot retail plaza at 15505- 15507 N. Scottsdale Road in Scottsdale. The seller was Enright Zocallo LP, a limited partnership formed by Enright Capital Ltd. in Calgary, Alberta, Canada (David Forbes, Derek Ney, principals). The cash transaction was negotiated through Michael Hackett and Ryan Schubert of Cushman & Wakefield in Phoenix. The center, called Zocallo Plaza, is fully occupied. The 4.02-acre property, which was developed in 1999, is contiguous south of a 3.326-acre commercial project Levine and Jerry Simms also own. Two years ago, BREW reported Levine and Jerry Simms paying $6.5 million to acquire the property. That land, with an address of 15515 N. Scottsdale Road, had been occupied by Danny’s Family Carwash until that business went bankrupt. Jacksons Carwash now leases the property, which is comprised of 17,754 sq. ft. of space in five buildings that have been used as a car wash, convenience store, gas station and oil/lube garage. At some point, both of the parcels could be combined and redeveloped as some type of mixed-use project. In January 2012, BREW reported the Enright Capital entity paying $7.3 million ($142.59 per foot) to purchase Zocallo Plaza. Over the years, BREW has reported both Levine and Jerry Simms buying and selling numerous real estate assets in the Valley.